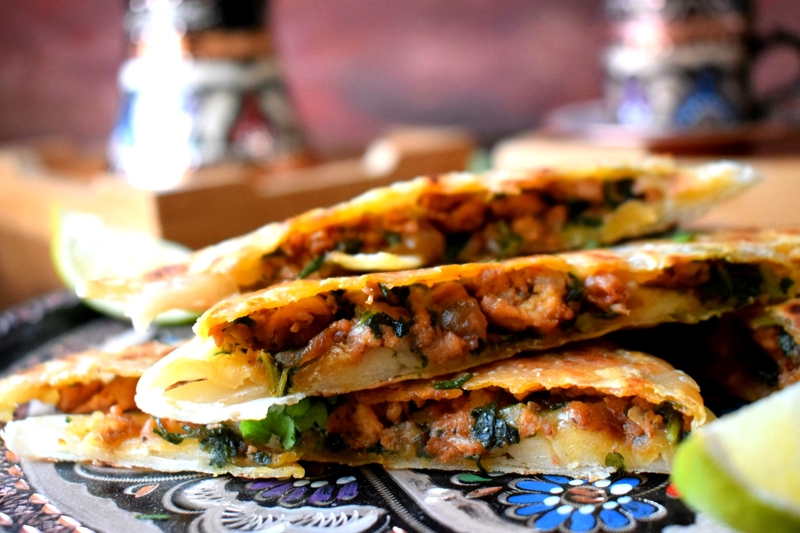 Gozleme is a traditional savory Turkish flatbread with spinach, cheese or meat! Here i made it with minced meat and spinach filling topped with mozzarella cheese! 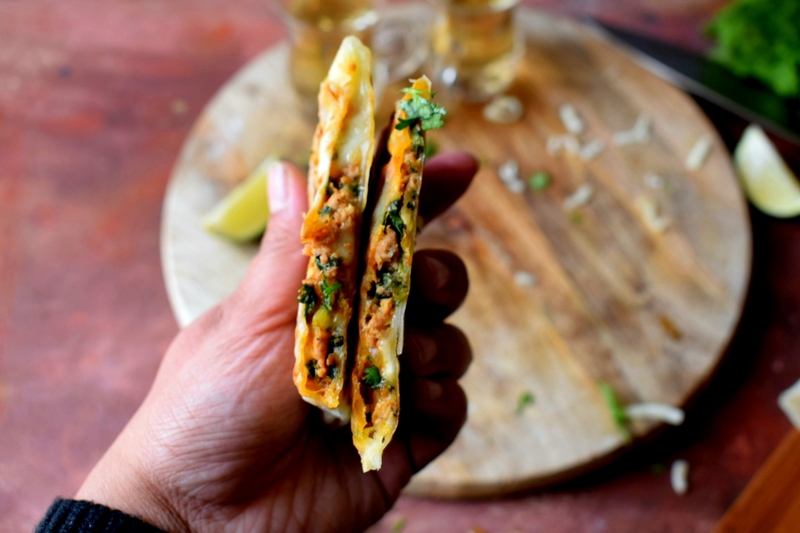 This thin and crispy bread filled with juicy meat filling and stringy cheese is for sure a crowd pleaser both among kids and adults and a perfect treat for the climate too! I already mentioned in some of my post about my love for Turkish food and this one is also a keeper. If you don’t want to use meat you can skip it and stick only with spinach and cheese. 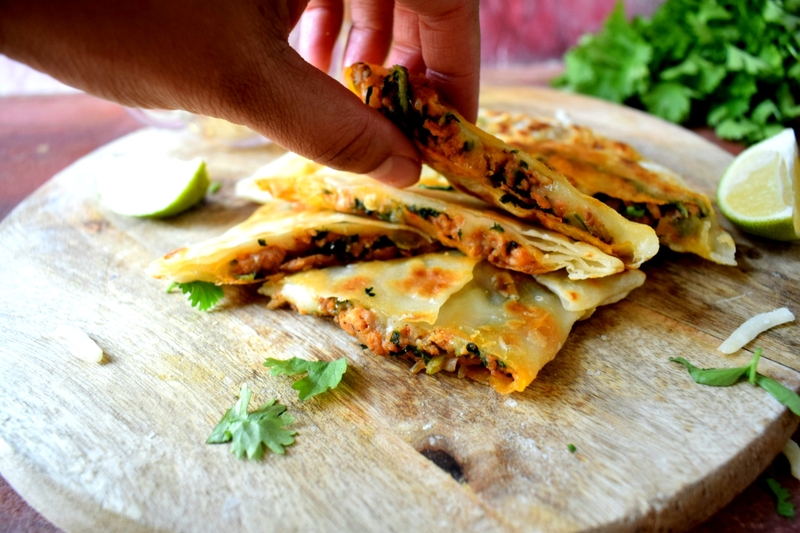 But my kids love it this way, you can also make it only with chicken mince and avoid spinach, it’s totally upon you. Here the dough is unleavened as it uses only flour salt and water but gozleme can also be made with yeast dough as well. 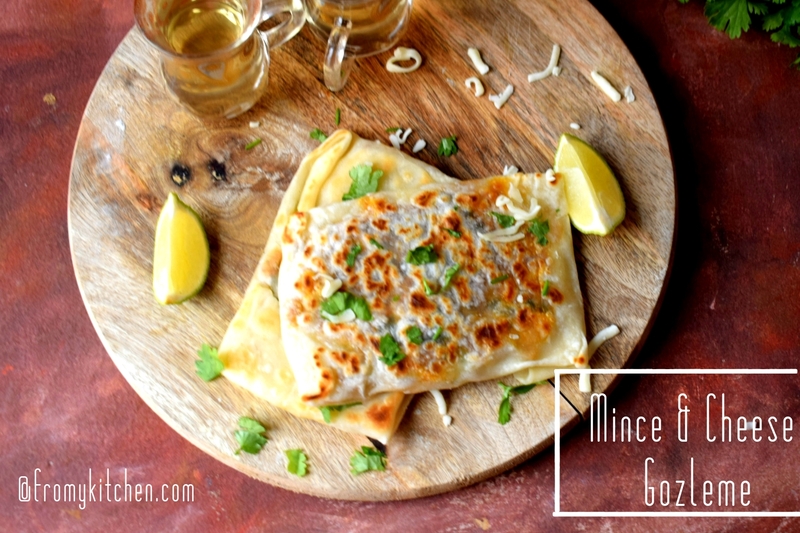 To acquire a perfect thin crust gozleme it should be rolled thinly before filling and cooked with a drizzle of oil to make it crisp. My kids and hubby enjoyed it! This one will be a good lunch box option too. 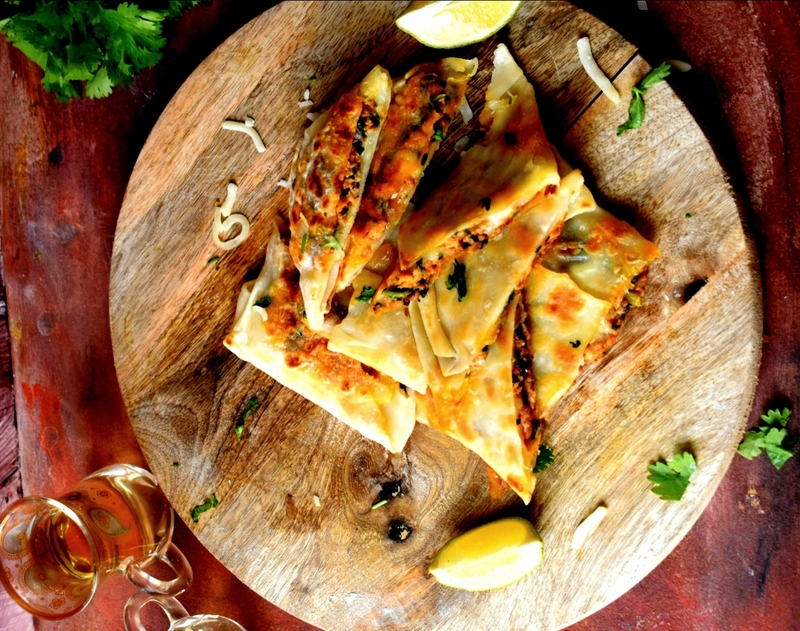 If you are making it for dinner preserve some for the other day(lay butter paper on a container and stack them by alternating butter paper between each gozleme cover and refrigerate) Cook in the morning and you are ood to go! In a large pan pour oil, add chopped garlic and ginger saute until it releases its aroma. Then add the chopped onions and salt. Cook it until soft. Add the chicken mince mix and cook to make it lump-free. Add enough salt and chilly flakes mix well and cook it until half done. Then add the spinach mix and cook for few seconds and then add the cumin powder, sumac, and chilly powder mix well and cook it all until the chicken and spinach are fully done and water evaporates. Add parsley and switch off the flame. 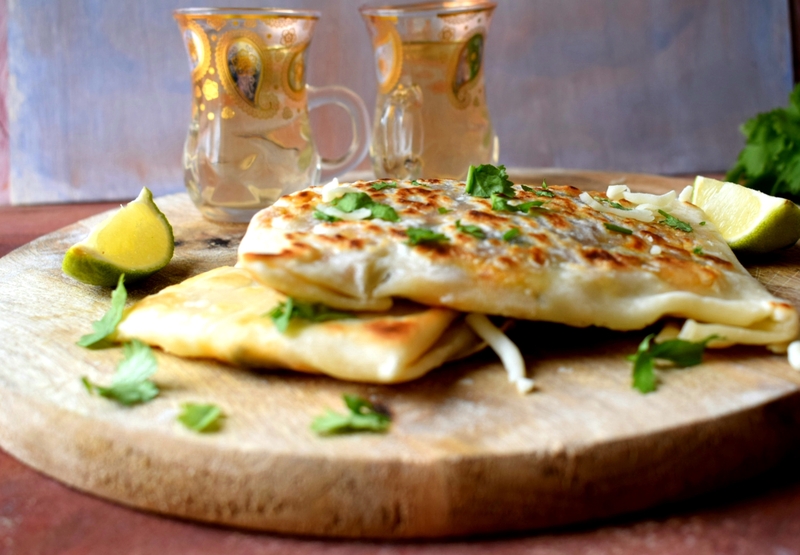 Heat a pan drizzle some oil and cook the gozleme until golden brown and crisp on each side on medium flame. Serve it hot with a cup of black tea! 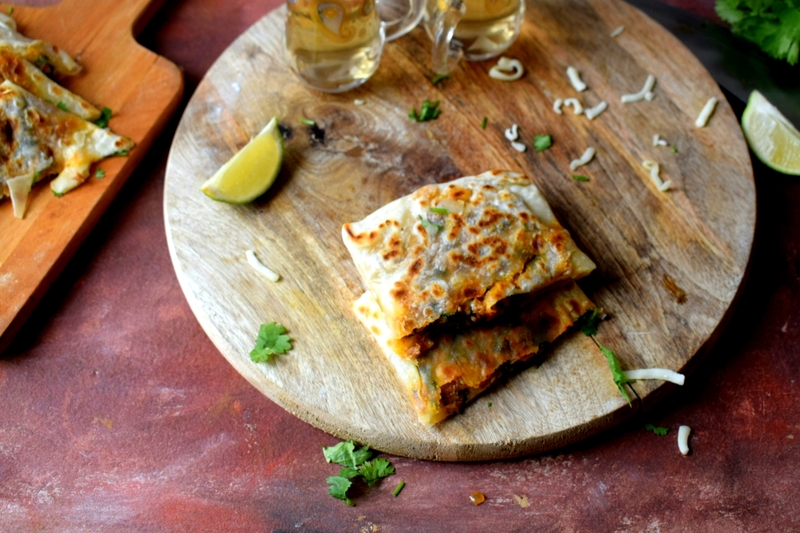 There is an Indianized version of this gozleme Mughlai Paratha(on the blog) check it out! 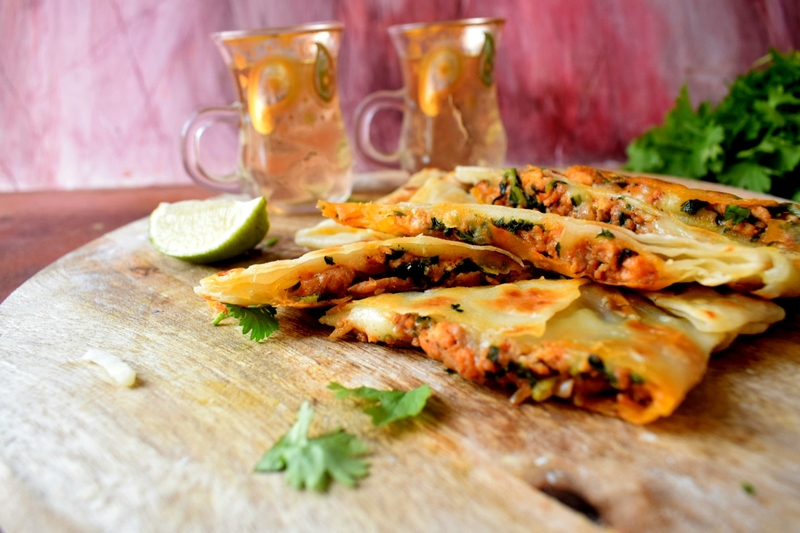 Hope you all will enjoy this cheesy chicken and spinach gozleme!